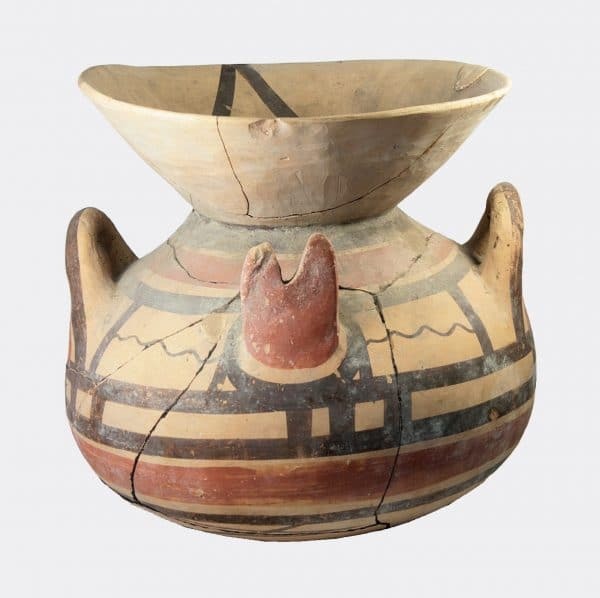 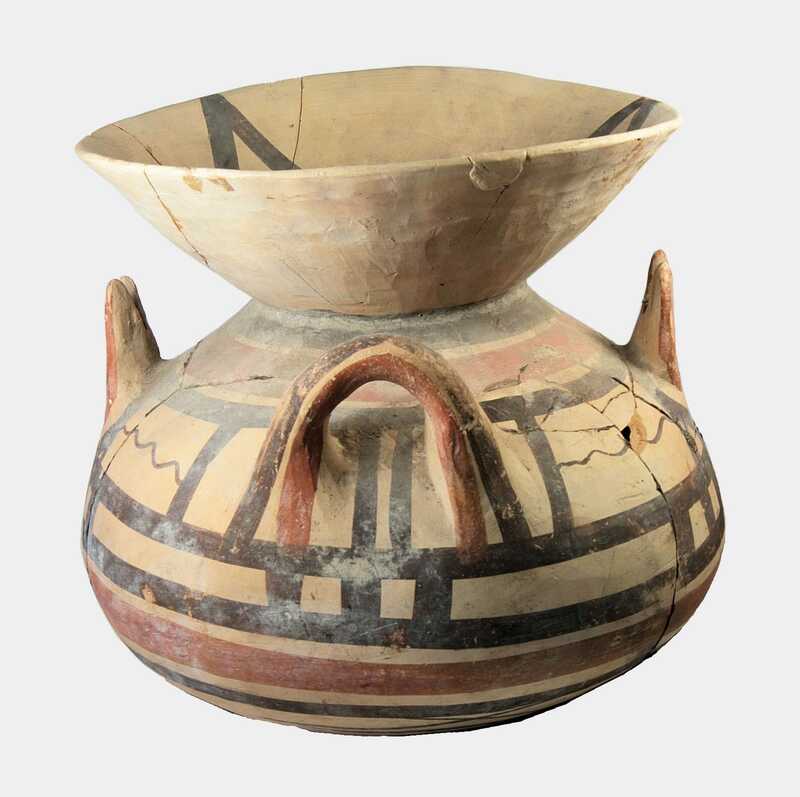 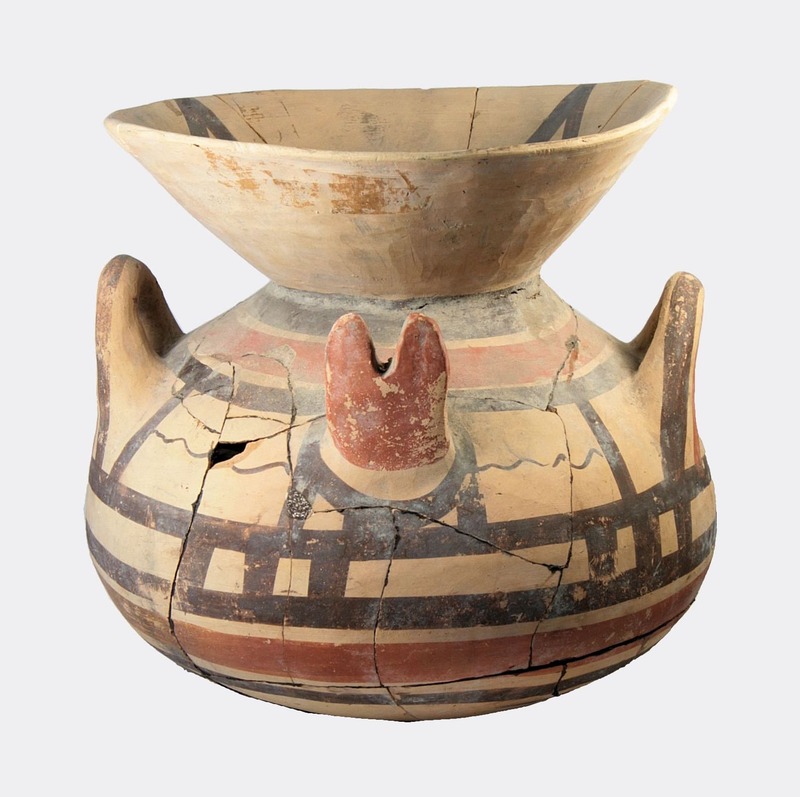 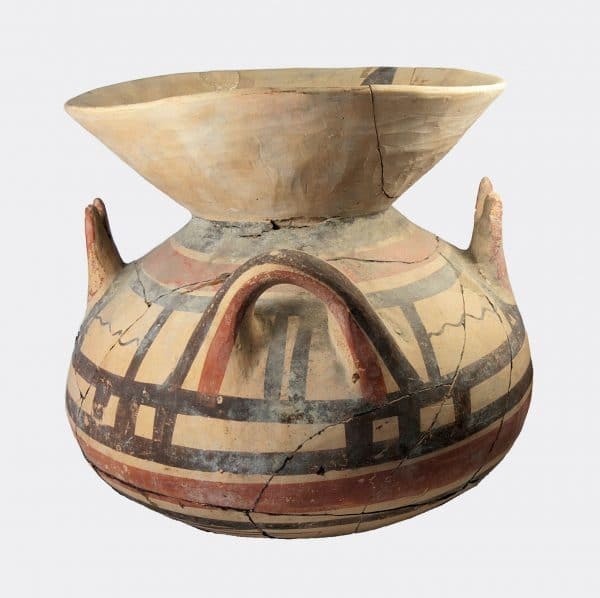 A large pottery olla decorated with two forked protrusions on the shoulder as well as red and black linear painted details. Ex. private collection, London, UK. Deceased estate, probably acquired 1960’s-1980’s.